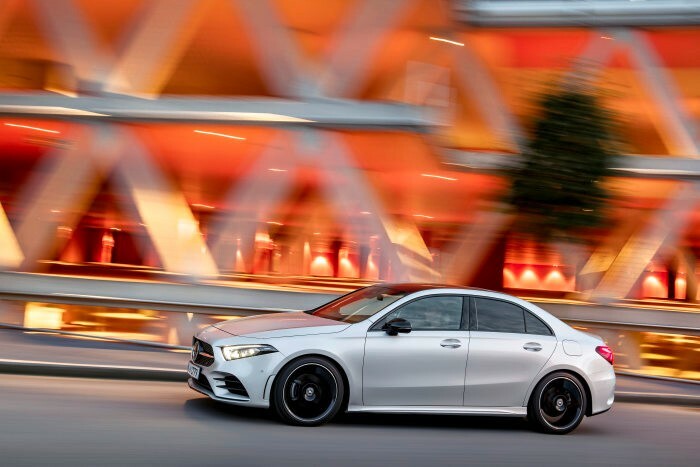 After the unveiling of the new Mercedes-Benz A-Class Sedan in the US last July, Daimler announced that it is already available for order. The pricing of the car starts at €30,916.20 or approximately $36,000. Deliveries will begin in early 2019. The new A-Class Sedan comes in six trims plus a special edition model. The A200 comes in 6-speed manual and 7-speed automatic transmission with an output of 163 hp and 250 Nm of torque. The rest are only fitted with a 7-speed automatic. The A220 4MATIC has 190 hp and 300 Nm of torque while the A250 and A250 4MATIC both produce 224 hp and 350 Nm of torque. The diesel variant, the A180d, comes with 116 hp and 260 Nm of torque. The most expensive of the bunch is the A250 4MATIC with a price tag of €39,525.85. On the other hand, the A180d remains as the most fuel efficient and the most environment-friendly with its 4.3-4.1 l/100 km combined fuel consumption and 113-107 g/km combined CO2 emissions. Meanwhile, the Edition 1 model for all trims can be bought for €7,021 more for around one year after the market launch of the A-Class Sedan. It is equipped with a distinct exterior and interior. The appearance of the auto is characterized by special color highlights in copper found on the pins of the diamond radiator grille and 19-inch AMG multi-spoke alloy wheels. The car also comes with LED high-performance headlamps, sport seats with adjustable head restraints, and ambience lighting. 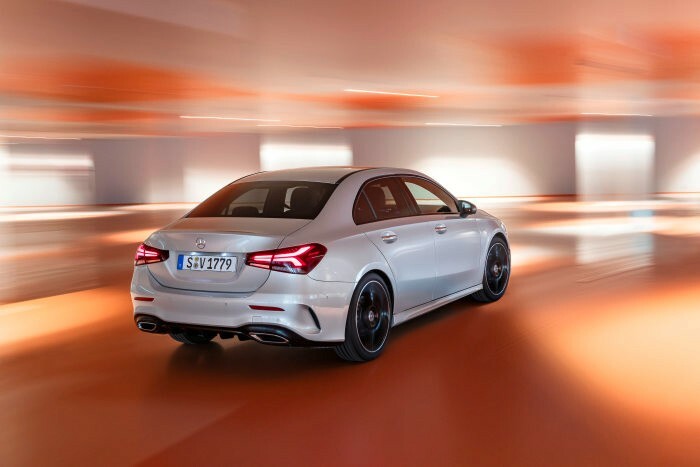 The AMG version of the A-Class Sedan is not yet available, but those who are looking to get some of the goodies offered by Mercedes’ high-performance division can upgrade their units with the Progressive equipment line, Night package and AMG Line. The optional add-ons offer changes on the front grille, wheels, side skirts, tailpipes, and interior upholstery, among others. The A-Class is highlighted by the MBUX or Mercedes-Benz User Experience multimedia system. The system features an artificial intelligence that recognizes voice commands and adapts to the preferences of its user.